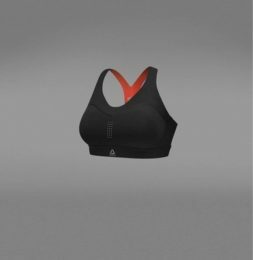 Reebok introduces PureMove Bra, a motion sensing technology based sportswear. 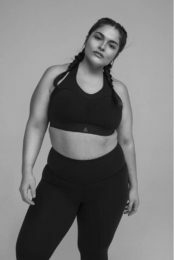 Reebok is coming with technology backed advance sports bra,’PureMove’ uniquely designed to deliver ‘barely a thing’ experience to the sporting women and athletes. Erstwhile, it was seen that devoid of proper sports bra options, women avoid exercise as they don’t have the right sized sports bra. 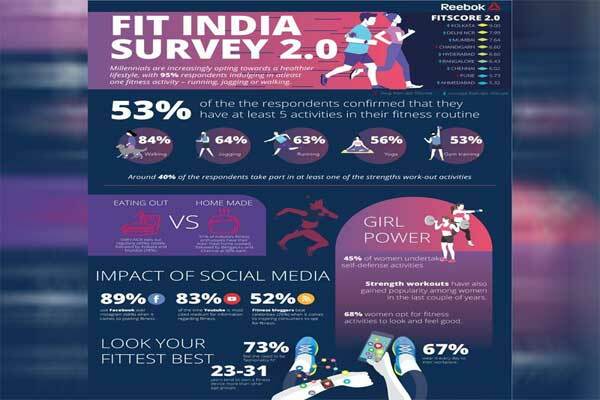 In order to tackle an age-old issue, Reebok which is known for designing and manufacturing apparel and sports shoes creatively, has shown this also by bringing in ‘first of its kind bra’ precisely designed using state of the art fabrication technology. After a deliberate research work and long testing hours in the labs, Reebok is proud to debut first of its kind of sports bra featuring Reebok brand’s new proprietary Motion Sense technology. PureMove sports bra which inculcates Reebok’s Motion Sense Technology is the result of treating a performance-based fabric with STF(Sheer Thickening Fluid), a gel or semi liquid kind of stuff which takes a liquid form when the wearers is standing still or slow moving state while it gets solidify when moving in high velocity. This is when women athletes keep the motion at the peak, PureMove Bra stop stretching much providing desired comfort and support to the breast tissue of the women athletes. Available in an extended range of 10 vibrant sizes, ranging from XS to XL+, Reebok’s PureMove Bra tend to provide a more tailored fit for users who can order online with prices starts from $60. Reebok will be closely monitoring the performance of the newly launched PureMove Bra, if the customers give it a thumps up, then the company will further incorporate the motion sense technology to other allied products, like swim suits and running tights.